Are you looking for an exclusive idea for the forthcoming wedding ceremony? Traditional options seem boring, but you are not ready for the extreme offers. 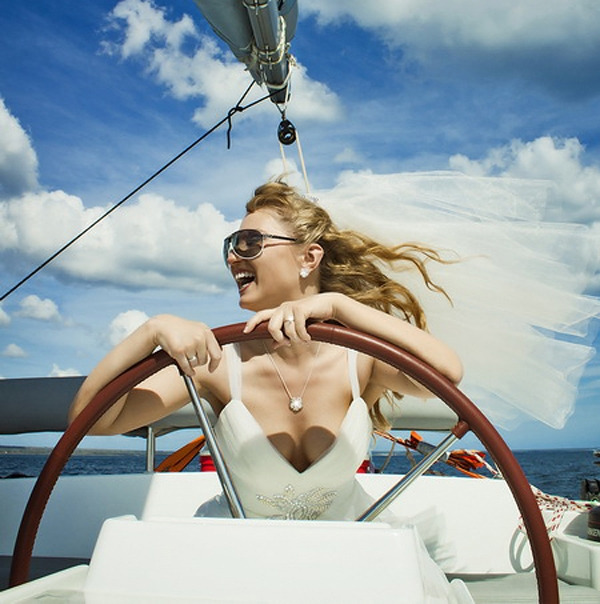 Yacht Voyage can arrange a perfect wedding on a yacht. It is a great solution for people who would love to be closer to nature, but not so far away from civilization. You will not be able to invite dozens of guests to the wedding on a yacht. 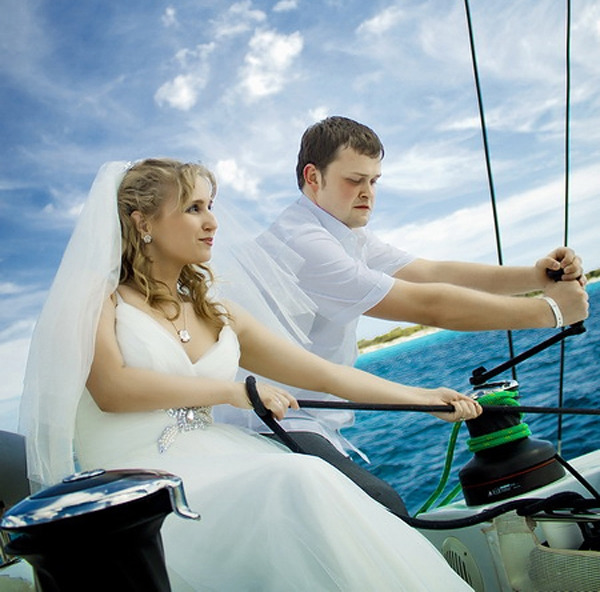 Sailing boat charter allows arranging an intimate ceremony with family and best friends. An additional advantage of this idea is that no one will crash your plans, whether it’s a drunk guest or an angry ex. Bright impressions and wonderful photos are 100% provided. You can décor the rented vessel to your liking, just order a professional service that will provide a perfect setting. You are free to choose any route. Some prefer visiting beaches; the others opt for the vast sea. Whichever you choose, you will have a good bargain and an experienced crew that will take care of your guests. You should decide beforehand, if the yacht will be moving or remain stationary, as the price of the package depends on this factor. It would also be a great idea to make it clear that no guest has a seasickness. A wedding on a yacht can be very elegant and romantic, and we will do our best to help you arrange a perfect ceremony. Yacht Voyage has an invaluable experience in this field, so we will be glad to give you a word of advice if needed. Our fleet consisting of fully equipped modern catamarans and sailing yachts is at your disposal. You are welcome to choose any yacht appropriate for your ceremony. Undoubtedly, a wedding on a catamaran by Yacht Voyage will give you and your guests the sense of elite adventure.